The terrorist attacks in Paris last month killed 130 people, they were appalling, deliberate, murderous and callous and this crime reverberated around the world leading (unwisely) to military action. But in Maidstone each year the same number of people die from the effects of air pollution from traffic yet no action is taken, no one is held to account, there is no media fanfare condemning the deaths and no military forcing people to turn off their engines. Last Saturday we started our campaign to highlight the silent atrocity. 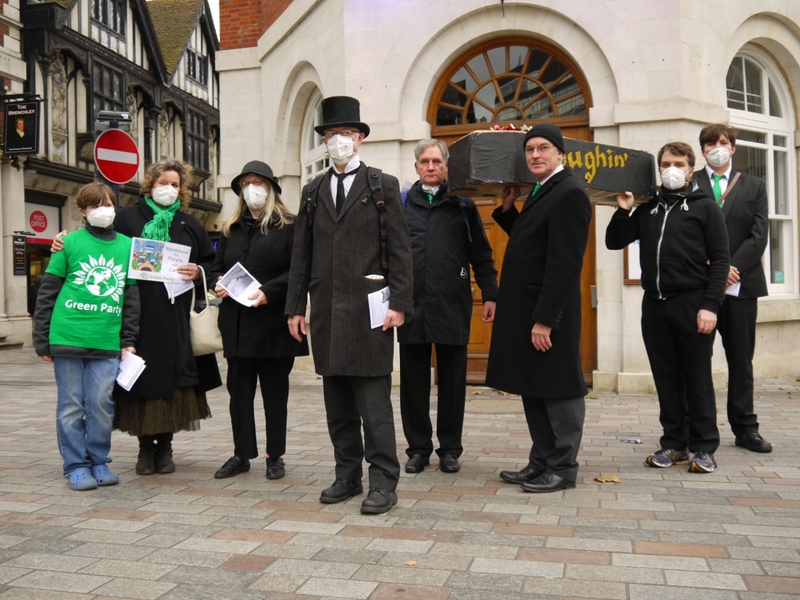 We marched through Week St, the main shopping street in Maidstone, at noon carrying a coffin, wearing dust masks and handing out leaflets to shoppers. The demonstration, organised by Maidstone Green Party, was designed to send a clear message to Kent County Council demanding action. 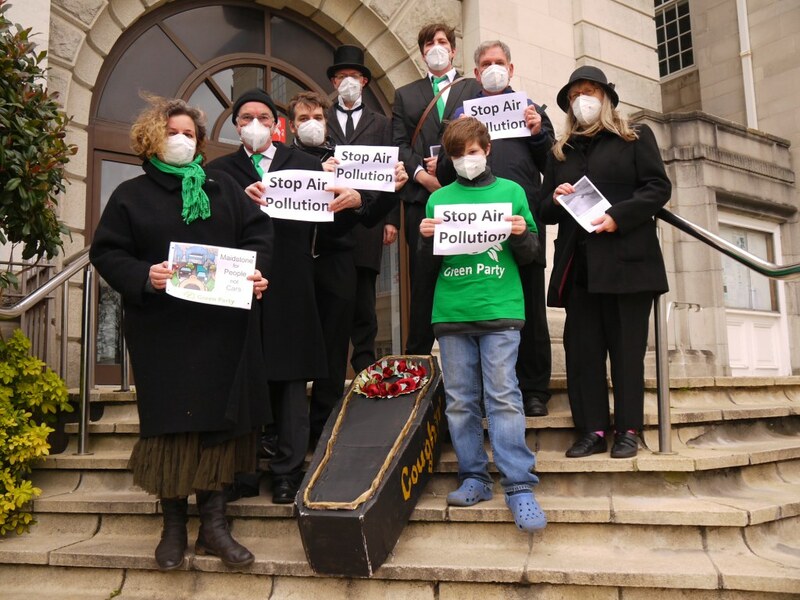 The coffin, daubed with 'Coughin' along each side drew many shocked on-lookers and raised attention to the sad truth about Maidstone's mounting problems with pollution. Maidstone Borough Council intend to spend £6 million on increasing the capacity of the town's inner ring road, encouraging more traffic, not less. All to improve the motorists journey by a meagre 74 seconds. While this will give a small short term reduction in air pollution, it will allow more traffic through the town and in the longer term it will increase pollution. I think this money should be spent on making it easier to walk, cycle and use public transport.